It’s Wednesday, and as you are reading this, I’m back on the Appalachian Trail. Why do you ask? Because it is there! And because a couple of days and a dozen miles of mountainous hiking is good for the body and better for the soul. Maybe you have noticed that I’ve referred to the term “Soul Dance” a great deal lately. When I refer to the soul dancing, it seems like such a pithy, tree-hugging, universalist quip. But it’s just the opposite! When our soul dances, the mind, the heart and the attitude arrive at the same intersection and join forces that cause the soul to dance! When I’m achieving something that I never thought I could or would do. When I find myself surrounded by nothing but the Creator’s masterpiece and the sounds of the hills, my mind is freed to race toward that intersection. When my heart gives way from the heartaches of hurting people and the challenge of leading a pretty good size church, it is running to that intersection. And when my attitude is focused on taking on the attitude of Christ Jesus, it is also arriving at that same intersection. And Now The Soul Dances! 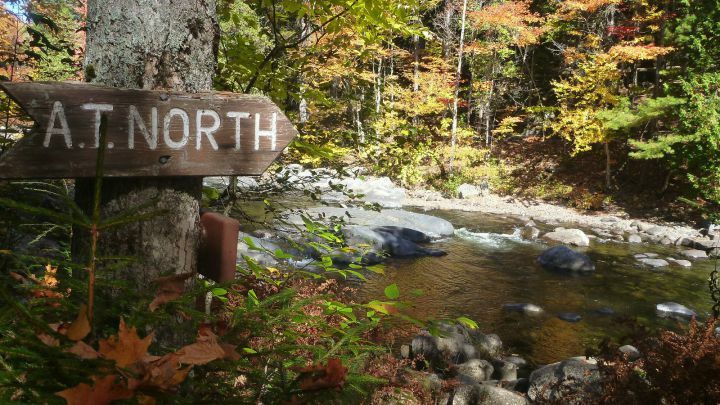 If your deal doesn’t include hiking the Appalachian Trail, that’s perfectly okay and normal. But we all have our version of the trail, where the intersection of mind, heart and attitude come together to create peace, joy, fulfillment and contentment. And our Soul Can Dance! Find the place where your Soul Can Dance and visit it frequently. While the Appalachian Trail is a place my Soul Dances easily, there are dozens of places around my home that I can do the same thing. Our geography never binds the heart, mind, and attitude. Our stubborn minds bind them, our sinful hearts hold them back, and our selfish attitudes restrict them. This Wednesday, choose to intentionally lead your mind, heart, and attitude to come together and turn your soul loose to dance with great passion.